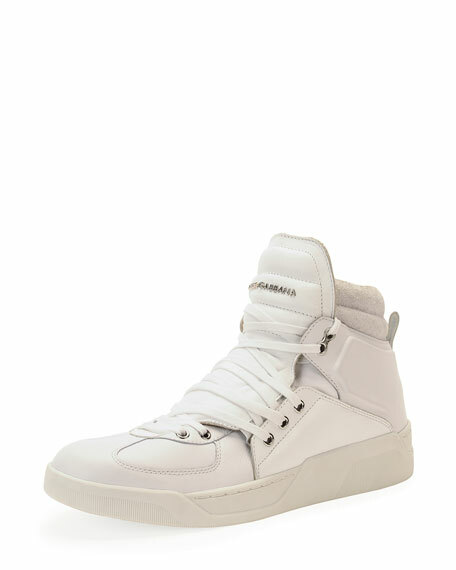 Dolce & Gabbana leather upper high-top sneaker. Dolce & Gabbana logo stamped on padded tongue. "Benelux" is made in Italy. 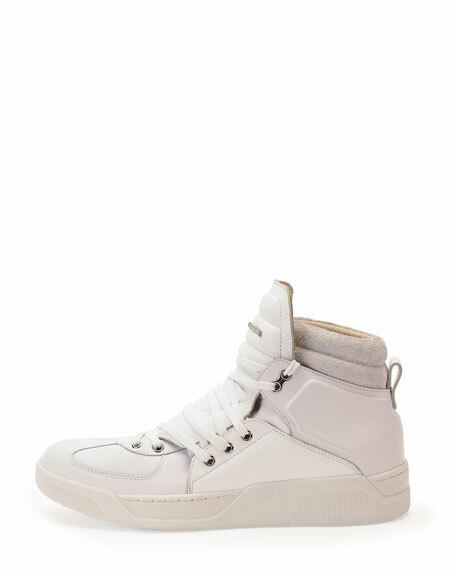 Sizing note: First size is Italian, second is United Kingdom. The US conversion is a size larger than the United Kingdom (ex: Italy 41 = UK 7 = US 8).